A common tactic when making sequels is to repeat the same story arc as the first film, but with a character who is in some way related to or connected with the original protagonists. Straight-to-video sequels are notorious for how tangential their relationship is to the originals: American Psycho 2, for instance, centres on a girl who stabs Patrick Bateman after he murders her babysitter. Step Up 2: The Streets did not have to suffer the same, persisting ignominy of a straight-to-video release, but it does attempt the same kind of base trick. Its only connections to the first film are the Maryland School of the Arts and the brief, inconsequential appearance by Channing Tatum. While the results are not as disappointing as perhaps you might expect, it still fails to match the standard set by the first film. Part of the reason for this disappointment is the director. This was Jon M. Chu's first commercial hit, which would lead him to direct the sequel to this and produce the following two instalments. His love of dancing is never in doubt, and nor is his ability to give his performers room within the camera to express themselves. What is in doubt is his ability to tie those dance moves to a story which is both interesting in its own right and told in an interesting way. 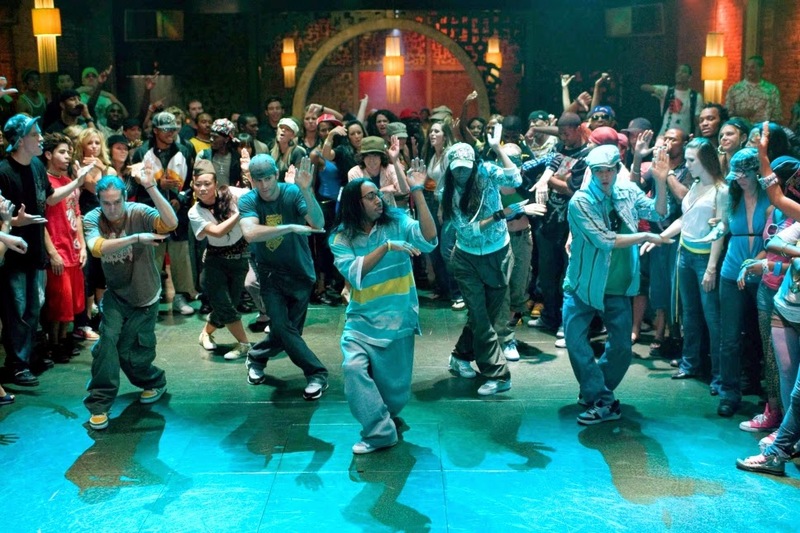 In Step Up, you had a series of dance set-pieces which were integrated reasonably well within the dramatic storyline. The end result was hardly The Red Shoes, but is was a film in which the dancing served the plot, rather than the other way around. Step Up 2 (as it shall henceforth be called) goes in the exact opposite direction, in which the dancing dominates to such a degree that the plot becomes episodic, almost to the point of being irrelevant. As with the first film, there is a certain amount of pleasure to be gained from these set-pieces. They are impressively choreographed, and have a marginally more visceral quality than those in the first film. This is presumably because there is less of an effort to blend street dance with more classical or elitist forms of dance, something which sets the film apart from the original, albeit not enough to justify itself. Many of the set-pieces are well-lit and reasonably well-directed. The final showdown at 'The Streets', with Andie's crew outclassing the 410 in the rain, is visually pleasing. The cuts are fast without suffering from the almost-ADHD attention span that plagues Rob Marshall's films (Nine in particular), and the sequence uses the bass drops in the music to effectively punctuate the various phases of the dance. Max Malkin's credits as a cinematographer are very thin, but he does a competent job of lighting movement around lots of water, which is not an easy thing to do. But despite the impressive choreography, the dance sequences are not enough on their own to hold our attention or to make the film worthwhile as a narrative entity. We're living in an age where five-minute videos of people body-popping are ten-a-penny on YouTube, and with films taking so long to make compared to TV and internet shows, any film which includes such sequences has to offer something else to justify itself. As much as we are impressed by the talent of the individual performers, the result is ultimately too thin and too flimsy to be involving. An equally big problem is our leading lady. Briana Evigan's credentials as a dancer are excellent, but as an actress she fails to make Andie West a likeable character. Having a lead with attitude can be effective, provided that it can be balanced out by some kind of character development or at least an underlying sensitivity. Evigan doesn't bring that balance, being so consistently aggressive that we end up finding her insufferable. Her subsequent career at the bad end of the horror genre (Sorority Row, Mother's Day and S. Darko) suggests that she has limited emotional range. 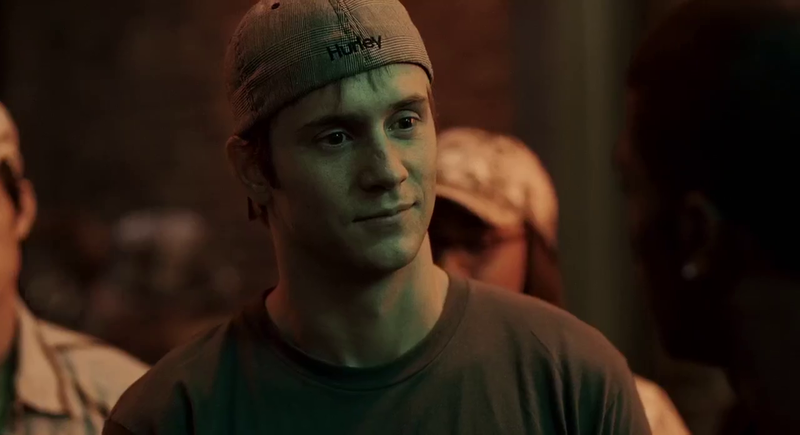 Because of this acting deficiency, Step Up 2 falters where Step Up ultimately found its feet. It's trying very hard to make a point about needing to belong in a group or community, and its democratic approach to dancing will garner praise. But while Channing Tatum's character in the first film ultimately found his niche, balancing his personality to skills which he never knew he had, the protagonists in this film are on one level just as exclusive and in-your-face as the 410. It also doesn't help that the school scenes are less convincingly staged than in the first film. While the story of Step Up was ultimately a melodrama, the school in which the events took place felt like it could exist; at the very least, it was believable enough to serve the plot. This time, the school scenes have an awkward sense of detachment, as though Chu didn't really understand what the cast were talking about. The camera is less fluid in these moments, and the editing is looser and more arbitrary. Even if we overlook the artificial nature of the high school scenes, the film still doesn't entirely satisfy as a straightforward genre piece. All the basic well-worn plot machinations are in place, with our lead starting to belong to a new group, things getting worse before they get better, and eventually triumphing against the odds. But even on a purely escapist level, it's utterly forgettable, and for those who want to engage with the story it doesn't depart in any reasonably gripping way. What we are left with after all this is a collection of passingly impressive moments, assembled in a competent but unremarkable manner, and delivered by a group of decent actors who are weighed down by a miscast female lead. It's hard to believe on this basis that Chu was offered the chance to direct The Great Gatsby before Baz Luhrmann finally got the gig. But if we take Evigan's performance out of the equation, the remaining cast do just enough to keep things watchable. 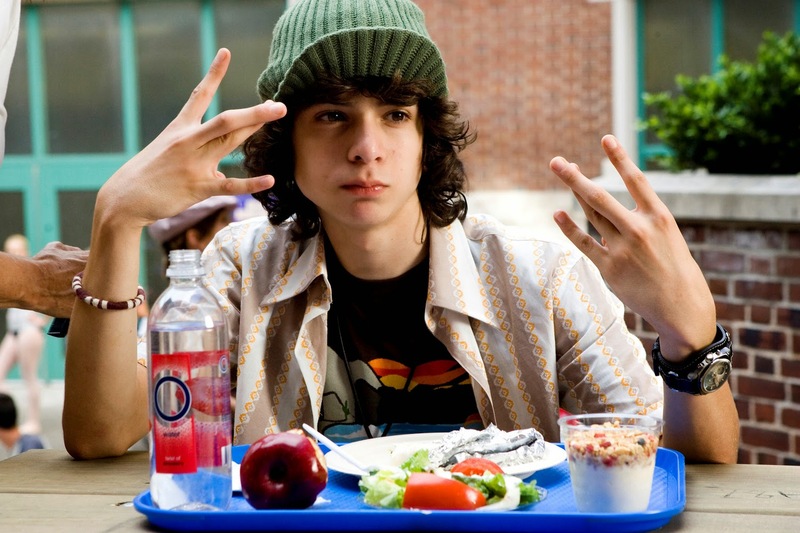 This film marks the first appearance in the series of Adam Sevani, who becomes the saving grace of the next instalment. There's something wonderfully nerdy about Moose, who can back up his awkward demeanour with outstanding dancing, and he has a playful quality which makes him likeable. Elsewhere Robert Hoffman acquits himself perfectly well as Chase Collins, and Will Kemp partially atones for his work on Van Helsing in his supporting role as the head of the school. Step Up 2: The Streets is a comedown from its predecessor, lacking the coherency and ultimately the confidence to tell a story, settling into a series of set-pieces instead. Its cast are reasonably assured with the exception of our leading lady, but Chu lacks the technical or creative skill to turn these performances into anything more than a pleasant diversion. It's not awful by any means, but it is disappointingly ordinary.